Your donations help us spend more time creating the game. 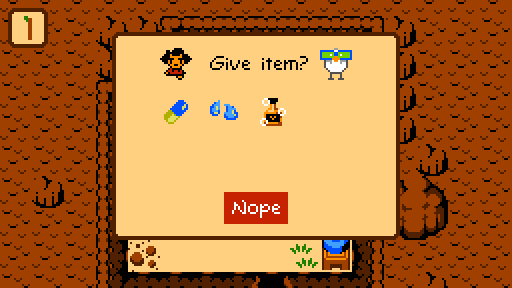 In this humorous 2D adventure game for PC, Mac, and Linux, a hypothetical question is taken to the extreme. Our heroine Rachel is challenged by the brutality of nature, the politics of species, and the struggle to persevere. Rachel’s vegan ethos is useful, as the island is brimming with animals that can help her, but winning their support is no easy task. Rachel must use her communication skills and problem-solving abilities—rather than coercion—to get what she wants. 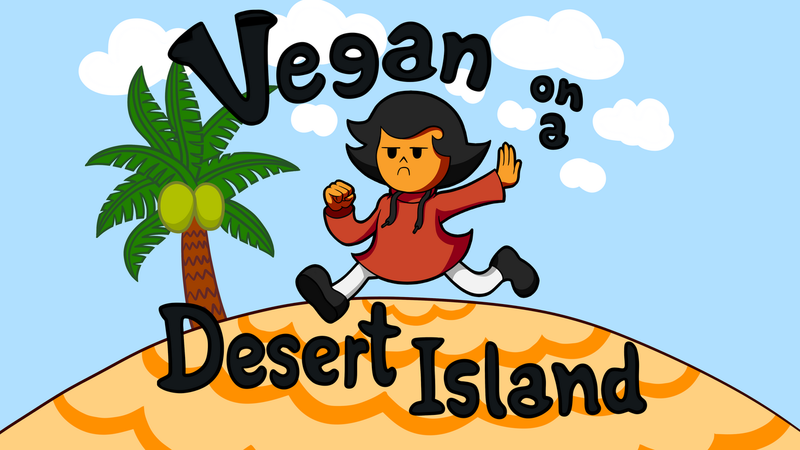 Vegan on a Desert Island is being developed in the open, and released under the open source GPL-3.0 license. All the game’s data (art, music, text, etc) is licensed under CC-BY-SA-4.0 or a similar free-culture license. All code, art, and music. You can also see my VOADI shared folder. It's my working directory, synchronized with my computer, that contains all the non-code source files of what I'm working on. VOADI is built by an international team of freelancers and contributors. Q: What is the character’s gender? A: Rachel is an adult human female. Q: Why is her name Rachel? A: Anecdotally, Rachel seems like the most common vegan name. How many vegans do you know named Rachel? I can count them on two hands. Also, in the short documentary The Real Castaway, a real person named Rachel was stranded on an island for 9 months and remained vegan the entire time, subsisting off coconuts. A: Yes, the game will cost $0, and you will have the freedom to study its source code, modify it, and redistribute it as you wish. Free downloads will be on this website, but a Steam version (or other third-party publisher) will come with a small fee. A: It will take at least a year (time of writing: Sept. 2018) to create, but possibly longer. This game is being made for love, not money, and will be released once it’s filled with spirit and charm. A: Yes, please! You could contribute music, graphics, ideas, or code. If you want to support from afar, please consider spreading the word or donating money. Q: I refuse to use Patreon. Is there another way? A: You can donate to voadi on Liberapay! Liberapay is free as in freedom. Q: How is it built? What engines or frameworks? A: VOADI uses Solarus game engine, which is scripted in Lua. Check out VOADI’s repo! Q: How is the donation money spent? A: Thank you for donating! Donations fund the (vegan) lead developer’s cost of living, including rent, food, and other ordinary expenses. It’s not an extravagant life, I assure you. Q: How about mobile devices like Android (or others)? A: Android and Nintendo Switch are possible targets, but this won't be explored until the main game is done. This website and all it’s content is licensed under CC-BY-SA 4.0.